Your construction project is a major investment. As such, you want all aspects of it handled by professionals who know the business. Our team at Ewing Group is knowledgeable in industrial projects, construction management, general contracting, and project development. Rely on us to provide you with comprehensive project management that keeps your plan, your schedule, and your budget. 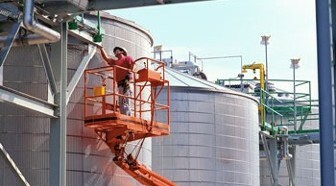 Ewing Industrial specializes in industrial project construction and design. This entity leads our team of construction professionals in all aspects of projects requiring design-build skills, engineering, and procurement. Through this division, we offer a wide range of services tailored to the needs and demands of specialized industries including oil and gas, chemical plants, general manufacturing, warehousing and deconstruction.